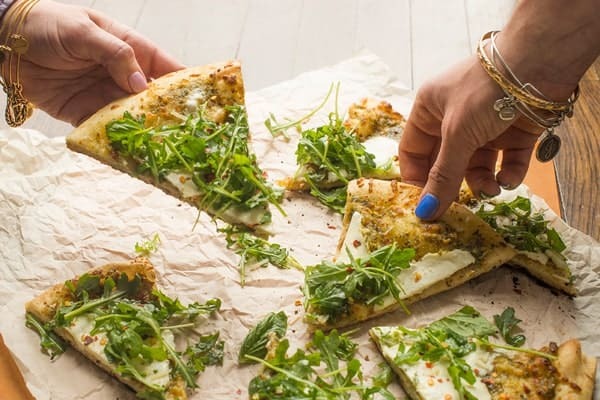 This fast and easy grilled pizza recipe is made with bright pesto, fresh mozzarella and topped with a lemony arugula salad. Grilling season makes me immensely happy – I’m sure I’ve said that 100 times before and I’ll likely say it 100 more. 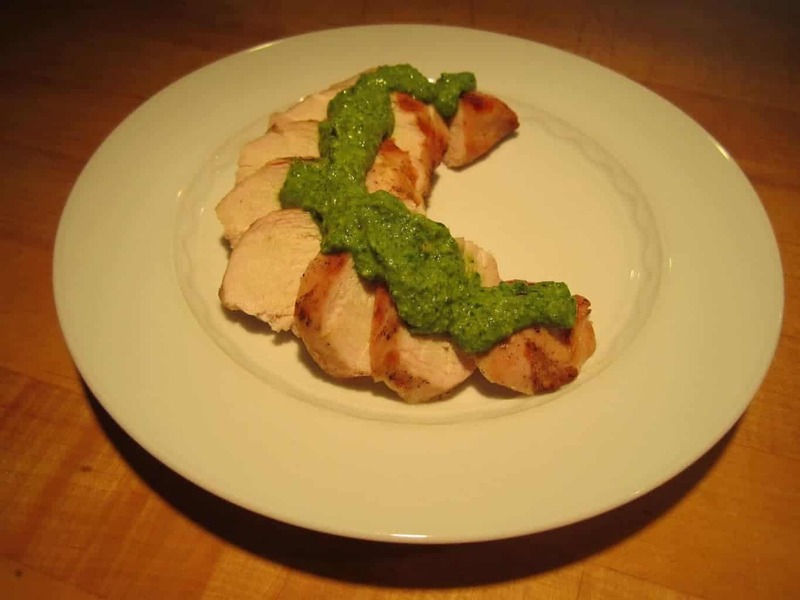 Everything about it is more relaxed and you’re pretty much guaranteed a fool-proof meal. One dish we’ve been grilling more and more lately is pizza. 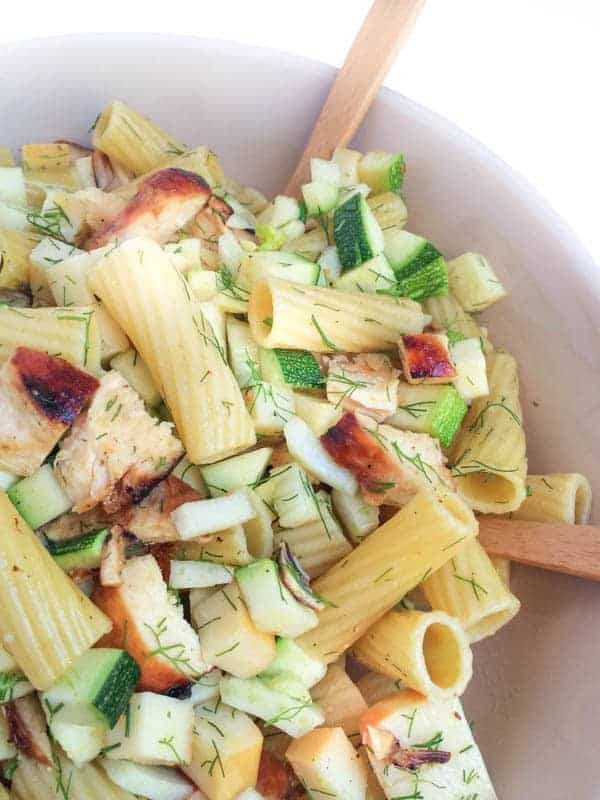 It comes together in just a couple of minutes which is not only ideal for me but is perfect for my two toddlers who pretty much wanted dinner ready yesterday. 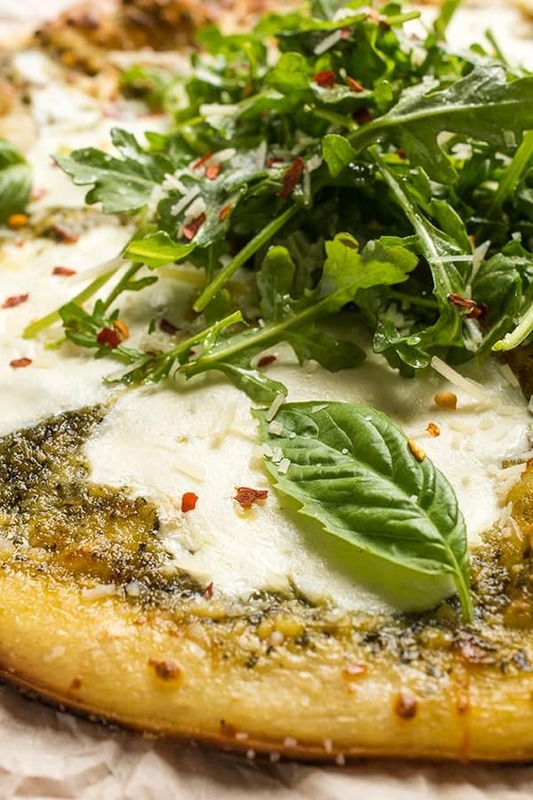 The star of this pizza is the fresh mozzarella that slowly melts and becomes bubbly and slightly golden as it cooks on top of the bright, fragrant pesto. To balance out the flavors, I like to top the whole pizza with a tangy and slightly spicy arugula salad tossed with a little lemon juice and olive oil. 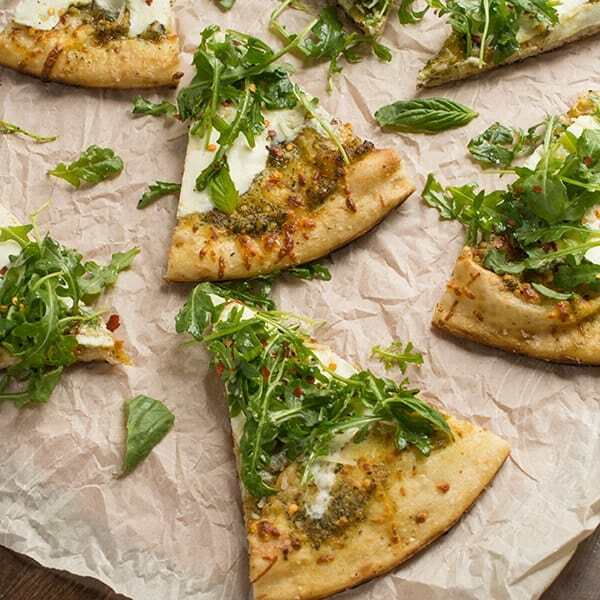 Ideal for a quick weeknight dinner or entertaining friends in the backyard, you’re going to love this simple and easy grilled pizza with pesto and fresh mozzarella. Pre-heat grill over medium heat. 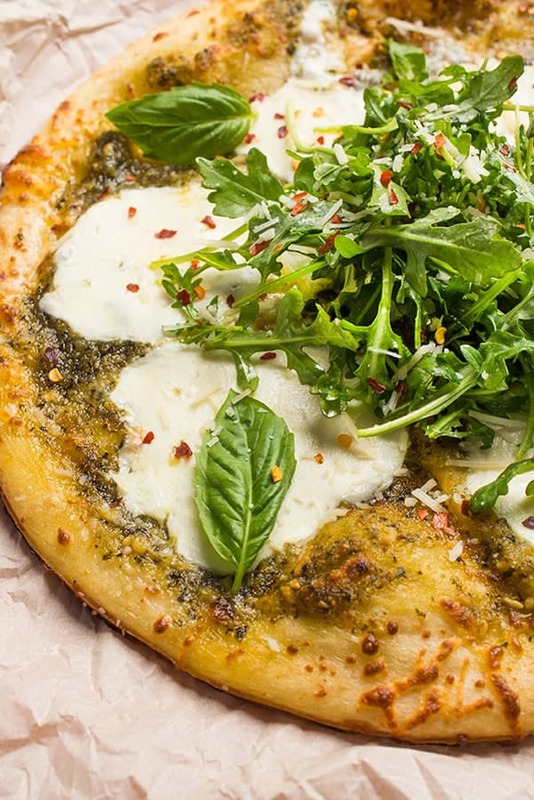 Spread the pesto over the pizza crust then top with slices of fresh mozzarella. 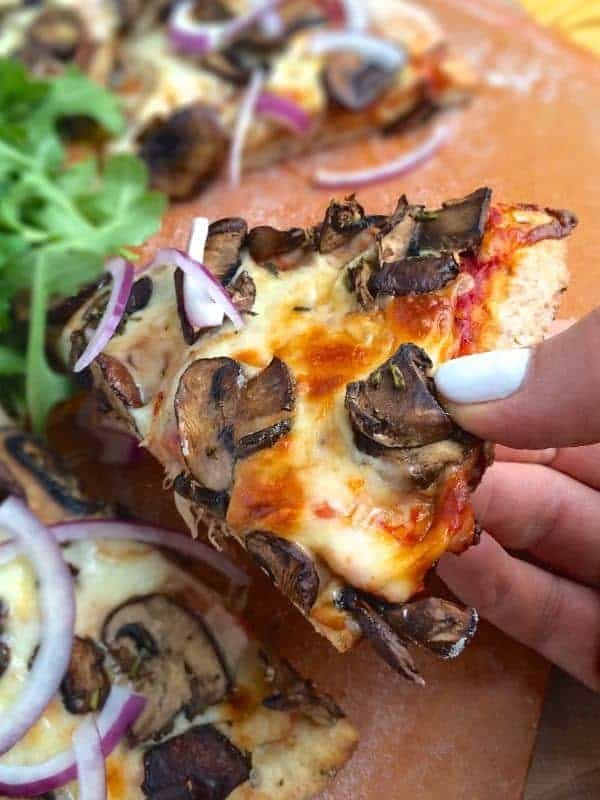 Grill pizza with the lid open until cheese starts to melt and crust is warmed through, about 8-11 minutes. While pizza is cooking, toss arugula with lemon juice/zest and olive oil. Season with salt and pepper to taste. 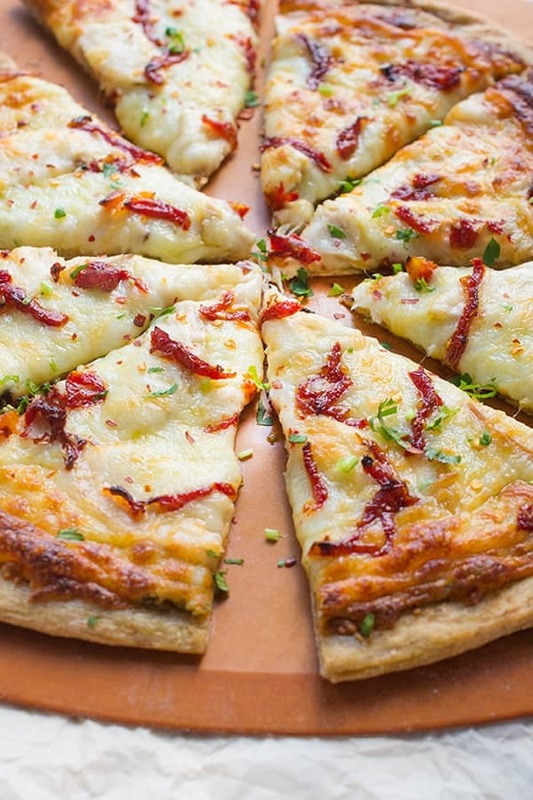 Serve pizza sliced with arugula salad on top. Garnish with parmesan cheese and red chili flakes to serve. This pizza is so tasty! I used regular mozzarella not fresh. Smart!!! So glad you liked it! I could go to town on this pizza! It’s topped with so many of my favorite things. You would love this friend! Hope you are baby are doing good!! I’ve been so eager to make grilled pizza, but never understood how the crust stood up to the grill…never even thought of pre-baking it beforehand! Haha. Do you think that this can be done in the oven? If so, what temperature and how long? Yes yes yes! I love putting pesto on pizza (or anything for that matter ;)). 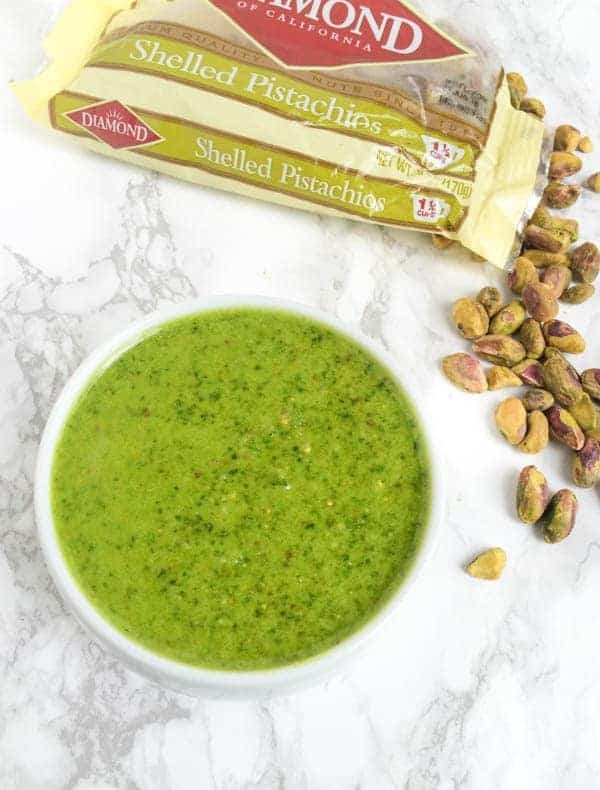 Paired with the arugula and the lemon – I bet this is absolutely fantastic! 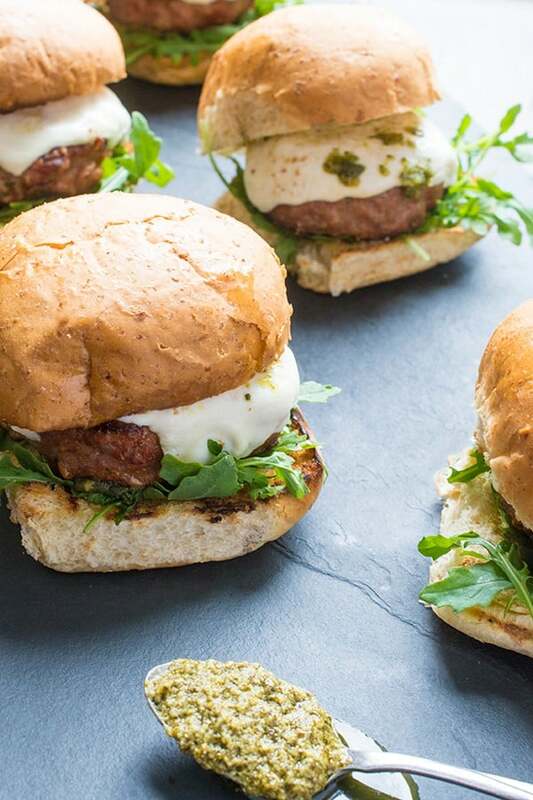 Cheers to grilling season! I am a sucker for topping savory foods with spicy, lemony arugula!! I think pesto and mozzarella are my favorite combinations on pizza. Grilling the crust is dynamite! Thank you so much for sharing Liz!! Why is grilled bread and cheese so magical? !